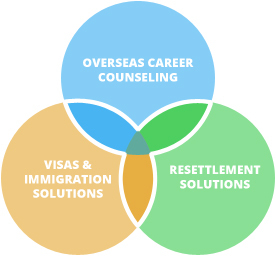 Kansas Overseas Careers is a visa and immigration consultant based in Hyderabad, with operation centers spread all over India.Our mission is to provide honest, competent and result oriented immigration services through effective consultation and visa processing. We have joined hands with best Canada Immigration Experts and laid the foundation of Kansas Overseas Careers to provide smooth and easy means of migration visa options to candidates who wish to settle, work or study abroad. We value professional approach, forward-thinking and take every step to aid our clients achieve their immigration goals smoothly. We do all types of visas- Canada PR visas, study visas, visit visas, dependent visas, family visas, sponsorships etc. We have the best team of Resume Writers & CV Marketing Specialist. While your visa is in process, they help you search for a job of your skill set. 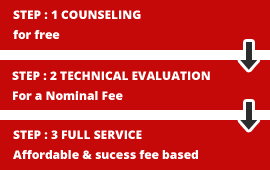 Skilled Consultants: We have a team of highly skilled immigration consultants, who are expertise in assisting our clients worldwide, with suggestions and procedures of selecting a country that meets their academic, professional and personal goals. The team majorly focuses on providing clients best suggestions and solutions for their overseas plans. Expert Case Officer: Process consultants or case officers of Kansas Overseas Careers hold hands on experience in providing visa process. Through their dedicated efforts, we provide service of ECA filing, documentation guidance, visa application, visa documentation etc. Best Resume Writers: To share the burden of job search with aspirants willing for a bright future in Canada, we have a team of Resume Writers. This team is expert in preparation of Resumes that are internationally attractive and acceptable. Along with the resume, assistance in cover letter preparation is provided. CV Marketing Specialists: This team is also called as the Job Search Team. CV Marketing Specialists filter out the best jobs in Canada for you as per your profile and help you apply for the same. They also connect you to employers on selection. Student Counselors: For students who aim to study in Canada, our efficient team of student counselorsguide in University selection, admission application, visa processing etc. All through the time till the student receives his visa, the counselors wouldbe a mentor and support the students stage-by-stage. Divergence Team: We ensure that we give our clients a flawless service. However, we are open to critics and feedback from our clients in areas where they believe they need to escalate. A special divergence team is dedicated for this matter and ensures all clients are satisfied at every moment till they are associated with Kansas for their visa process. Customer Support: Regular updates, changing policies, upcoming immigration events, easy payment options etc. are all updated to client as and when required. The team at Kansasis dedicated for customer support and relations, strives for hundred percent customer satisfaction rate and works accordingly to maintain the same. 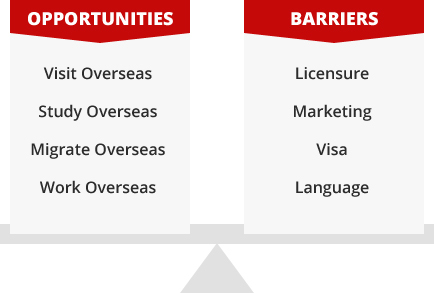 Kansas approach to get a Visa is purely based on application’s 100%eligibility to a certain country. We not only ensure an applicant has enough points to qualify, but also be transparent about other factors, which may impact an application. The best way to know about us and what we can do for you is to speak to us or meet us at any branch you believe is convenient for you. And, the simplest way to do this is to share your details through the quick enquiry form - one of our Canada Immigration consultants will contact you, soon.